Högis opens up a world of experiences and enjoyment. Our superb range of services cater for your every need, whether you’re on holiday or here as a conference guest. We’re a genuine resort where everything is in easy reach, from fine dining to our own cinema, spa, conference facilities, playroom, ski hire and Europe’s biggest Après Ski scene. There’s skiing on the doorstep for old and young alike – both cross-country and alpine – plus all sorts of other fun mountain activities. We’ve created a place where we would want to spend our holidays, which is why we offer so much choice. Whatever you opt for, we’re always on hand to meet your wishes and expectations. We want your holiday to leave all of us feeling happy and content. Step outside and you’re greeted by a wide array of attractions and a continental feel in the Swedish mountains. We’re constantly inspired by our travels around the world and we bring home the treats we think are extra special, a taste sensation we want to share with you; for example, we have one of the country’s best sushi restaurants (with chefs trained in Japan and Bangkok), award-winning fine dining and an authentic steak house. In short, we want to make sure you have a world-class experience. There’s always something happening at Högis, so you can be as active or as relaxed as you like. Decide what kind of week you want to go for and make yourself right at home. Some weeks the focus is on kids and family, while other weeks are all about partying into the early hours. 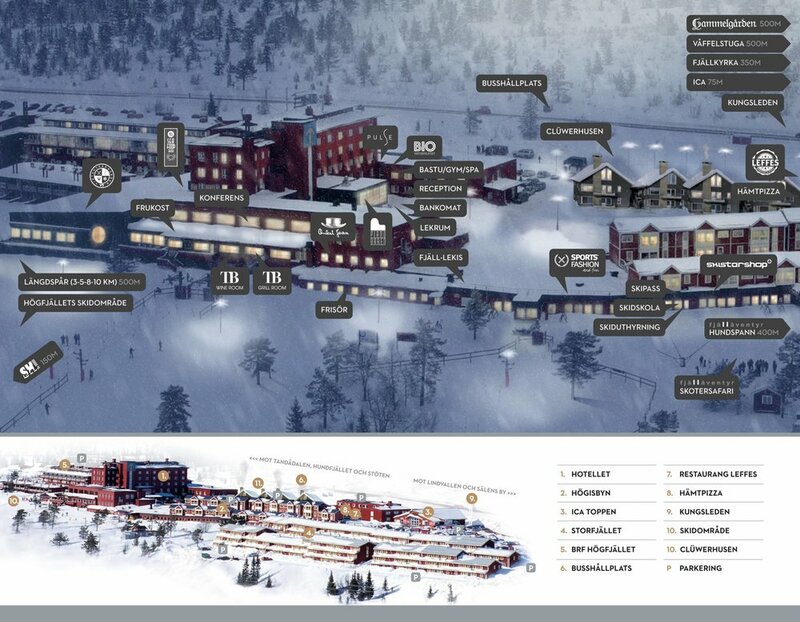 Our ancestor JW Kluver, who built Högfjällshotellet in 1937, was a daring Norwegian entrepreneur who dreamed of a large and luxurious ski lodge – a “spa hotel in the mountains”. He chose this particular location because the season is so long here, with deep snow. And we are forever grateful to him. He was praised during his lifetime for his “bold contribution to opening the mountains of Sälen to all nature lovers”. We’re proud to still be passing on his passion for the mountains and our ambitious plans for the future embrace his spirit – within a few years, Sälen is going to be an international skiing destination. Our guests are everything to us, the very reason we’re here. People have been coming to Högfjällshotellet to enjoy the high life for over 80 years. That’s a tradition we’re continuing, just as our founder intended. Get away from it all. Feel right at home.